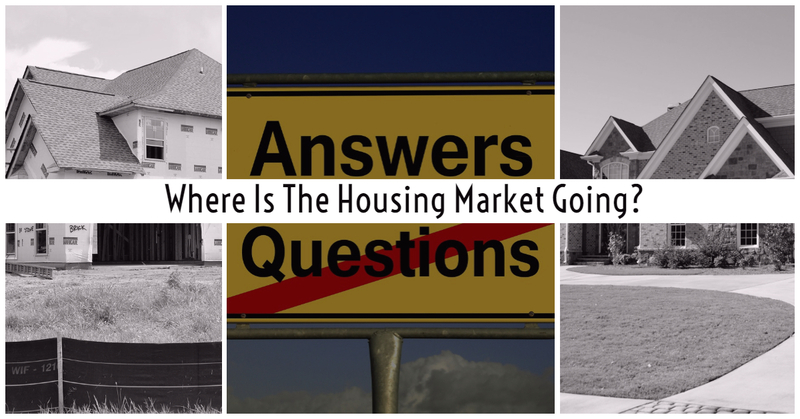 The U.S. housing market has been a puzzle these last few years. Many urban centers, particularly metropolitan areas on both the East and West Coast, have seen drastic demand increases and tight supply, leading to housing markets as overheated as the housing bubble that predated The Great Recession. Other urban areas, particularly in the Midwest, have seen small price increases, while smaller cities and rural areas outside the huge growth zones have been flat. The unevenness of the post-recession recovery seems to indicate that location has become a more primary driver of home prices than before. Just comparing housing costs in high-flying places like San Francisco and Boston to low flyers like Atlanta bear out this hypothesis. Jobs and desirability play a role. Cities like Boston, Seattle, and San Francisco are uber popular and offer high-paying jobs. They also have limited room to grow. Cities like Granbury, Texas and Atlanta, Georgia have bigger housing supplies and room to spread. Still, the massive increases in housing costs in many urban areas defies logic. In hot markets, many a real estate agent have grown accustomed to seeing 10 to 15 offers on a single property. Bidding wars are common in major metropolitan cities all across the nation. All of this mania has been set against the backdrop of some serious housing headwinds. Many experts have long argued that the current home-price surge was bound to be curtailed by lack of affordability, rising mortgage rates, a lack of entry-level homes on the market, and rising student-loan debt. According to a recent report by CNBC, they may just have been proven right. Data from Redfin shows that housing demand fell by 9.6 percent in a June, 2018 to June, 2017 comparison. This is the largest drop in demand since April, 2016. In the 15 major metropolitan areas covered in Redfin's index, requests for showings fell by 6.1 percent, while the number of offers per home fell by 15 percent. With summer being the hottest time of year for real estate, these numbers indicate a weakness in demand for the year; however, prices continue to increase, so there is no indication of a market drop. Experts point to a strong economy and growing employment as support for the housing market. The declines in demand have been primarily concentrated in the overheated urban areas. Other parts of the country are still seeing a rise in demand, even in urban areas.. Still, if you try to buy a home in one of the hotter markets, you are still likely to encounter a bidding war. This is great news for those who want to sell a home, though they may see the gains washed away if they want to buy another place in the same region. According to Redfin, four of the six cities where buyers are most likely to encounter a bidding war are in California: Oakland, San Francisco, Fremont, and San Jose. The other two, Aurora, Colorado, and Seattle, Washington, are also greatly affected by the Tech industry. Aurora is known as the Silicon Valley of Colorado. Seattle is the long time home to Microsoft, and more recently, Amazon. Real estate in Technology markets have seen some of the most intense price increases in real estate history. Since 2016, average prices in these areas have increased a whopping 45 percent. Though much of this rise is driven by U.S. homebuyer demand and the city's tech sector and popularity, in some cases, foreign homebuyers have had a hand in this incredible market surge. Many well-to-do overseas investors are buying U.S. real estate, partly because of a desire to send their children to U.S. universities. Seattle, which has a strong Asian culture, has also been the beneficiary of a 2016 Vancouver, BC policy. The Canadian government slapped a 25 percent tax on foreign real estate buyers in Vancouver in an attempt to cool the city's overheating real estate market. Chinese buyers responded by buying in Seattle instead. The U.S. real estate market's surge has been driven by many factors, including demand, blockchain technology, and foreign buyers. Though demand is slacking off, prices remain high in many areas. Experts debate whether this means a pause in an ongoing trend or the end of an unsustainable mania. For more information about housing prices in your area, get in touch with a local trusted real estate professional. An experienced local Realtor can provide you with information on where the best buys are, and if you’re in the market for one, where the highest priced homes in town can be found.